My heart rhythm curiously adjusted to the ecstatic music of the local musicians while they tickled the ivory keys ever so elegantly and danced their fingers so effortlessly on their golden instruments. My gait, along with my emotions, played in sync with the hundreds of elated native Turkish families. The smell of special spices, Turkish pastries, and traditional fresh fruits and vegetables wooed me completely toward downtown Istanbul. My eyes gazed upon the fruitful, beautiful clothing arrayed upon the Muslim families as I admired each small sketch of the dazzlingly creative clothing designs. The upbeat atmosphere completely overtook me, for soon my spirits and my jubilant emotions, were influenced by the friendly environment. The smells of exotic produce, meats, pastries, breads, concoctions weren’t the only influences upon my happiness; the joy and friendliness that the Turkish people had toward each other was notably conspicuous. Their humble attitudes and dedication to hard work and character considerably changed my viewpoint at life. They were intensely satisfied with their lives as demonstrated by their caring actions, determined efforts, and smiles as bright as the sun, even if, in the eyes of many, their lives lacked extravagance. 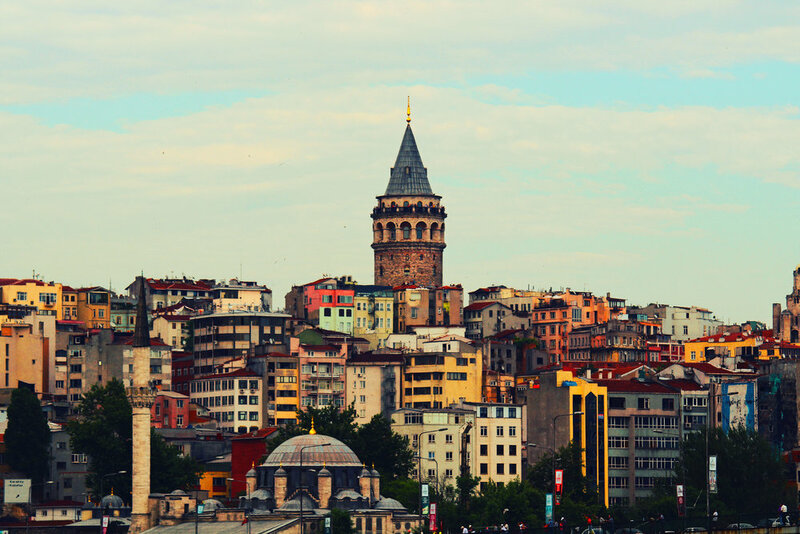 Many of my experiences in Turkey, primarily while shopping in the local vendor markets and exploring the vast city markets, shops, and public gatherings, consisted of sightseeing in the religious Muslim temples of Sultan Ahmed Mosque. Here, I felt as if I were a Muslim; I felt as though I were part of the Turkish religion and, in essence, the Turkish people. I observantly stared at the thousands of faithful worshipers in the temple. The priests kindly cooperated in teaching hundreds of tourists the laws of preserving the Muslim religion and the promises they would make in prayer while worshipping toward their religions. I observed closely the entire span of the priest’s speeches and developed an understanding of the importance of Muslim religion to the people of Turkey. My experiences in the temples of Sultan Ahmed Mosque were completely unforgettable. To this day I am still amazed and curiously stunned at the realization of how much the Turkish people value their Muslim faith. After my enthusiastic adventures in Turkey with the friendly vendors and priests, the unique foods and traditions, and the engrossed interest I’ve discovered in the Turkish religion, I recognize the value of a more diverse style of life, a dedicated, heartfelt, joyful, adventurous, and simple lifestyle that influences the people of Turkey to live everyday of life to the fullest. I’ll never forget the day the Turkish people faithfully welcomed me as one of them.